Dog bite law varies from state to state. It’s advisable to consult a personal injury lawyer in Tracy or Livermore to learn how the laws will apply to your particular case. Your personal injury lawyer will ask you some questions and review any available evidence to determine if you were bitten by someone else’s dog on public property. If you were bitten on private property, you may still have a case as long as your personal injury lawyer can prove that you had a lawful right to be there. California is a strict liability state regarding dog bite cases. 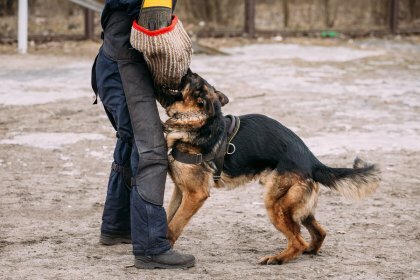 This means that your injury lawyer must prove that the dog did indeed inflict damages, but does not need to prove that the owner had previous warnings that the dog would behave aggressively. Even if the dog has never bitten anyone before, the dog owner could still be held liable for the medical bills and other damages. Seasoned personal injury lawyers can help clients secure compensation for their losses after an auto accident. However, there are certain steps you should take and mistakes you should avoid in the wake of the crash. Avoiding these common mistakes can help your lawyer in Tracy or Livermore substantiate your claims and obtain a favorable outcome for you. Some negligent drivers may try to make an oral agreement with you regarding compensation for your losses. This is never a good idea, since it usually means that the other driver lacks insurance. You should always contact the local law enforcement agency and report the accident. Your lawyer will need a copy of the accident report. It can be difficult to think clearly after someone has struck your vehicle. You’ll be preoccupied with getting the vehicle to a safe place off the road and checking on the welfare of your passengers. But after these steps are completed and you’ve called for emergency responders, it’s absolutely essential to collect certain information. Your injury lawyer will need basic information such as the other driver’s full name, contact information, license plate number, and make and model of the vehicle. However, you should also write down a list of all witnesses, including the passengers, and request a written statement and contact information from any bystanders. Take photographs of the crash site, the damaged vehicles, and the injuries, if applicable. Be sure to take pictures of traffic signs or lights, skid marks, and similar features. 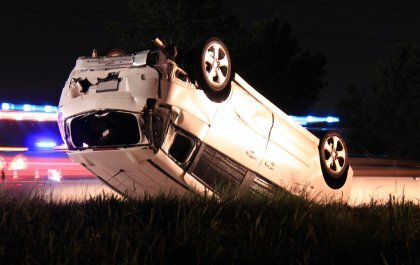 As soon as possible, write down your recollections about what happened before, during, and after the crash. Another common mistake is failing to get medical attention promptly. Not all injuries from auto accidents are immediately apparent. The adrenaline from the crash can mask the symptoms of internal damage. Delaying medical care can affect the outcome of your recovery. Additionally, the other party can try to argue that your injuries could not have been serious or were not caused by the crash simply because you delayed medical care.